Our Changemakers Competition for 2019 has begun! Welcome to our Changemakers Competition Portal for 2019. This competition is open to all schools in Mallorca. Our “Changemakers” school competition aims to raise awareness about the growing environmental problem of plastic pollution. As we draw attention to our plastic planet, we invite you to be part of a positive wave of change in the world of ocean conservation. The most successful projects, judged by a panel of scientists and educators, have the opportunity of joining the crew of our oceanographic vessel, the Toftevaag. In the blue waters of the Balearic Sea, students will live a week in the life of a marine biologist, learning about oceanographic techniques and spotting Mediterranean wildlife. Sign-up has begun! Scroll down to enter the competition. All entries will be featured online. Plastic pollution is an issue that affects us all, as well as the wildlife around us. Our competition aims to empower students to become part of a solution. Teams will select one group leader or a primary contact to submit the project, this can be a teacher or a student. Each team can only submit one entry and every student can only be part of one team. All entries must be original work. We reserve the right to use student work for marketing and promotional purposes in any and all media. All work will be credited to the students. Solution-focused - how is it helping reduce plastic pollution? Creativity - we want your project to be your original work! Each team must select a category above for their project. If you think your project fits in more than one category, that’s ok! Choose a main category and let us know what other categories you think it could be in. The categories exist to help you focus your project on one objective! For example, your objective could be to reach a large audience using a webpage or social media, in this case, your category is Media and Technology. Or you could decide to fundraise to donate to an ocean charity, in this case, your category is Community Projects. If you are unsure, just contact us! Below are some examples for projects in each category. How do we sign-up? Is it free? To sign-up, fill out the form below. It's completely free to join this competition. The competition is open to schools who have completed Asociación Ondine's Dos Manos Program or any Mallorcan school who can form a team. Check our entry requirements above. I can’t find a team but I have an idea for a project. What can I do? Try and recruit people in your school who are passionate about the ocean. We need a team of seven people to crew our expedition vessel, but we can make some exceptions for teams of no less than 5. We have an idea right now! Can we start our project before signing-up in January? You can start your project whenever you want! As long as you send it to us by May 2019. How much time do we have to submit our project? The last day to submit a project is on the 5th May 2019. Once you sign up below you will receive more instructions on your next steps. What kind of project should we submit? Your project can be anything. A movie, a piece of art, a play, a webpage, an Instagram account, a business plan, a new type of clothes design….it’s all up to you! What's your talent? What language should my project be in? Your project can be in English, Spanish or Catalan. Is the competition just for schools? Yes, the competition is open to students aged 15-18. How do we submit our project? We will send you information about this after you sign-up. If you have any questions, just contact us and we will help you. Do I have to know how to sail to get on the boat? Not at all! But you will need a positive attitude! You will also need to sign an agreement form and be in good health before coming on board. The Toftevaag is a boat that welcomes people of all ages and backgrounds. What will the winners do on board the boat? Can we share photos with you? Yes please! Send us any photos you want us to share or post them on Instagram using #ChangemakersAtSea hashtag. What will happen to our project if we don't win? All of the submitted projects will be featured online and shared with other students. 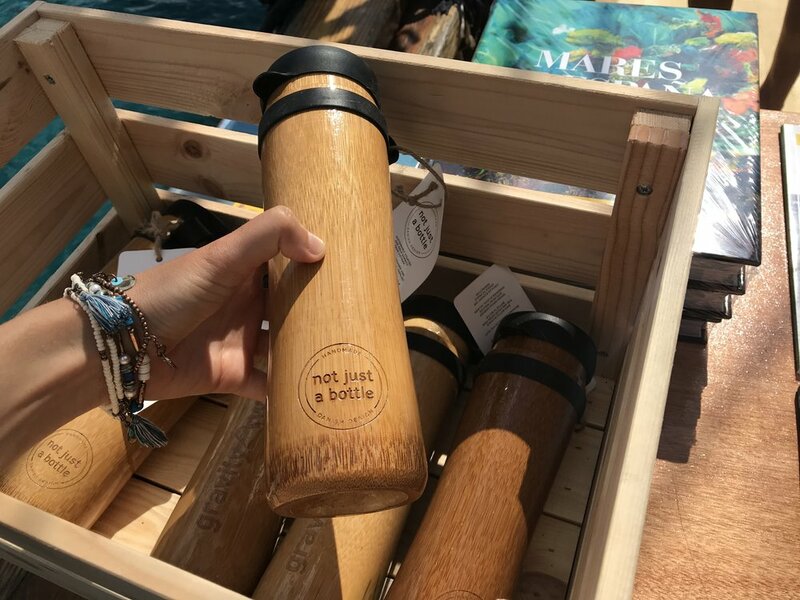 Every single project is helping us get one step closer to a world without plastic pollution in our oceans! Welcome to our Changemakers competition! help us fight plastic pollution and keep our oceans clean!